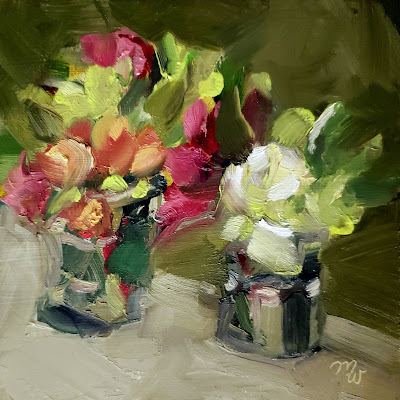 Happy to have my floral oil painting "Two's Company" included in the VIEW at the Art Trust, an art exhibition that includes 90 artists participating the Chester County Studio Tour. 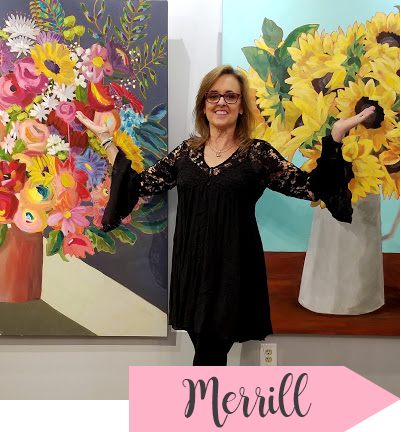 The exhibition runs April 18 through June 1, 2018, with an artists' reception May 4 from 5 to 9 pm. The Art Trust is located within the Meridian Bank at 16 West Market Street, West Chester, Pennsylvania 19382. For directions, click HERE. The Chester County Studio Tour will kick off on Saturday, May 19 from 10 am to 6 pm, with the second and last day being Sunday, May 20, 2018 from 11 am to 5 pm. I will be a guest artist at the studio of Chester County photographer Mike Fleck.You will want to make STUDIO #12 at 70 Highspire Rd., Downingtown, PA 19335 your FIRST STOP on the studio tour. Learn about your chance to own my county collector piece HERE.